Using premium ingredients and proven recipes, we hope to raise the bar and let people know there is an alternative to supermarket bakeries and wholesale mega-distributors. With other unique local shops, we hope to help make downtown North Attleboro a thriving destination. Lovely atmosphere and amazing baked goods! Nice people who run it. Very nice variety of pastries. Would return again. I love the idea of the Nift program. As consumers, we get to try new places and foods. This bakery was wonderful. The desserts were wonderful...so delicious! Will recommend to other people !!! Thanks for including me and if anything comes up in my area I would love to try it again. 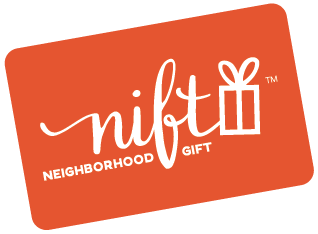 Keep up the great work Nift! Oven Essence is great! Delicious treats- kind worker- smells amazing! Great apple turnovers, muffins, and cupcakes! All fresh items made in house there! No preservatives or GMO products. The blueberry turnovers are incredible as are the Raspberry Truffle cupcakes. Amazing!! Looked good, even though I only bought a piece of flourless chocolate cake and some chocolate chip cookies. Neither of which are for me.....but looked delicious!